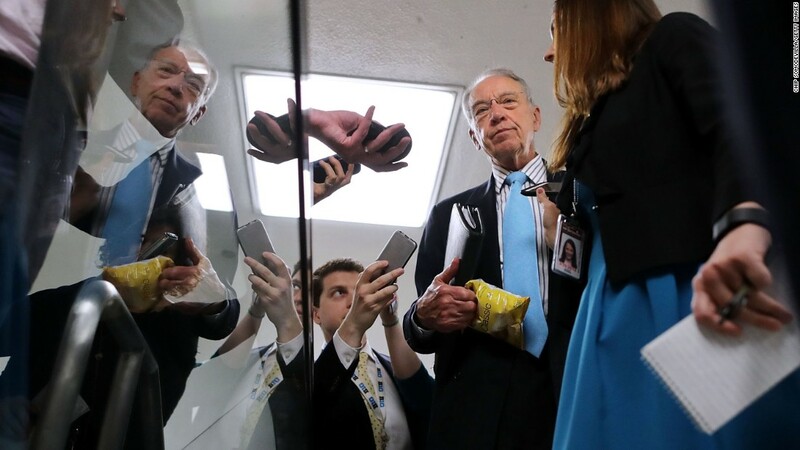 Washington (CNN) Sen. Chuck Grassley, R-Iowa, offered a frank explanation over the weekend of who would benefit from a provision in the Senate tax bill that virtually eliminates the estate tax for all but a very small number of Americans. In a statement to CNN on Monday afternoon, Grassley said his comments were taken out of context. Unlike the House GOP bill, which proposes an eventual repeal of the estate tax, Senate Republicans have not proposed going that far but look to double the exemption rates from their current levels. Grassley, the chairman of the Senate Judiciary Committee, has long been opposed to the estate tax, calling it unfair, particularly to farmers, ranches and small business owners who inherent their estates. The estate tax — which imposes a top rate of 40% — only touches about 0.2% of estates. Only those estates worth more than $5.49 million this year (or $10.98 million for married couples) even have to file an estate tax return after a person dies. And then only about half of those end up being taxable after factoring in deductions and credits, according to the Tax Policy Center. As for family farms affected, the numbers are tiny. The Tax Policy Center estimates just 80 family-owned businesses and farms will have to pay any estate tax in 2017. Grassley, who voted in favor of the GOP tax bill on Saturday, was the original co-sponsor for legislation introduced in at the start of the session that would repeal the tax entirely.